Rural youth hoping to take over the family farm some day would be wise to join Future Farmers of America. Then again, so would any youth. For every student that FFA helps to become a farmer, it helps another to become a teacher, a scientist, an entrepreneur, or healthcare provider. “Everything I learned in FFA is carried with me,” says Angela Lundwall, a registered nurse at Butte Saint James Hospital Clinic. Growing up on a farm near Big Sandy, Angela (her surname then McKeever) joined FFA her freshman year of high school in the early 2000s. She enjoyed getting to travel and participate in events, but ultimately, it’s what she learned about leadership that enriched her life the most. As a competitor in livestock judging, Angela was shown six animals and asked to pick out the best four, providing the reasoning for each choice. “Having to be in front of people and explain yourself in two minutes teaches you to be effective in communication,” she says. Becoming an articulate public speaker provided Angela a path toward leadership. 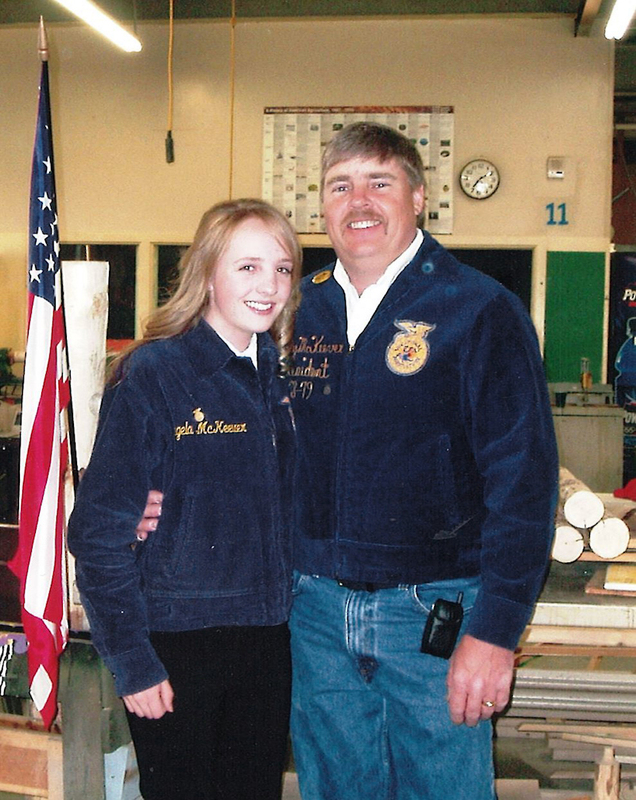 Unafraid of the spotlight, she served as the local FFA president for two years, and after high school she went on to captain the cheerleading squad at Carrol College. Today, Angela’s occupation requires her to give presentations in front of her peers, which she does fearlessly.